Pic (Bruce Picot) is a very modest man. He reckons that his peanut butter is “really good”. Actually, I can tell you it’s not! 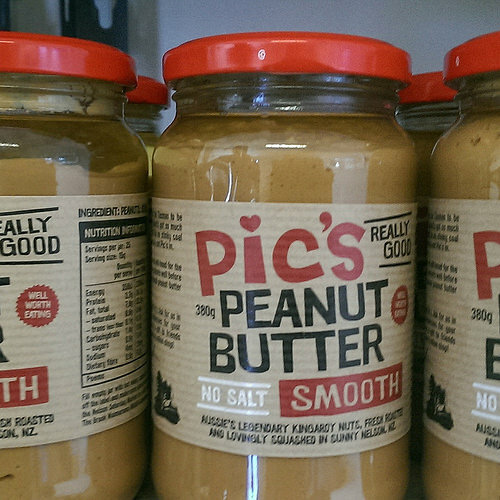 The real truth is that Pic’s Peanut Butter is fantastic – a world beater! In fact, even those competitive Aussies tend to prefer Pic’s Peanut Butter, to their own. 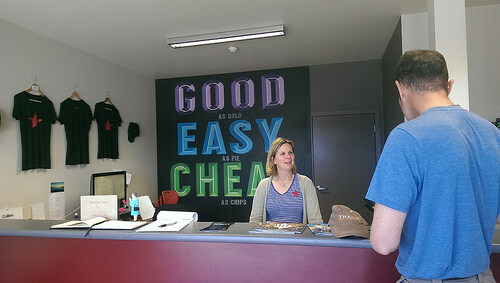 Now if you’re travelling as a couple or a family, you might interested in something pretty unique near Nelson. 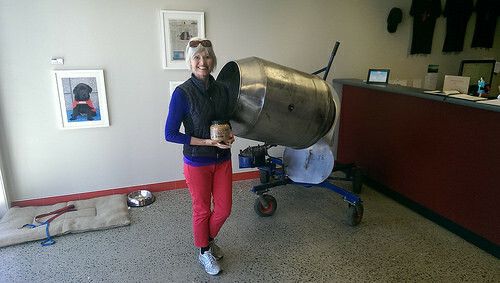 Why not take advantage of a short free tour of the Pic’s Peanut Butter processing factory at the Wakatu Estate. The factory can be found between Nelson and Richmond. Now I know some of us might remember those boring factory tours we had to endure as children. But I guarantee you won’t be bored with this tour. And believe me, it really helps when the factory staff are such entertaining individuals who love their job! Actually, if you look closely at the labels on the jars, you’ll see that every Pic’s Peanut Butter jar has a poem printed under the label. This is such a personal touch. So on the day we visited, it got us thinking that maybe there’s something meaningful going on here. Pic’s peanuts are grown in Kingaroy, Australia and brought over to New Zealand in 1000 kg bags. 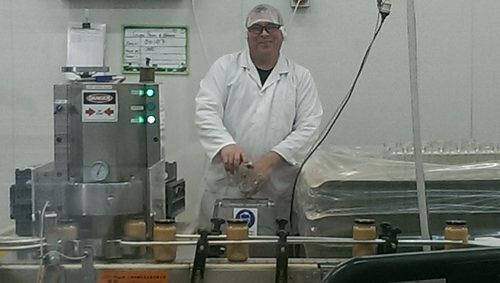 And there’s no mucking around – they’re processed immediately as a pure product. In fact, there are No preservatives, added salt or emulsifiers – just plain old peanuts! It might shock to know that there are 1000 peanuts in each jar! The first thing you notice after walking into the factory, is the staff. They such a happy bunch of people and they make the tour fun – especially for the children. This guy’s name is Dave. Now Dave loves getting his photo taken and its quite funny to see the kids clamouring for his autographs. But the biggest highlight, is that children can actually have a go at making their own peanut butter. How cool is that. 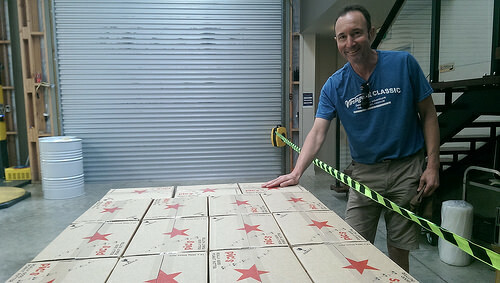 It really is such a thrill to touch these boxes ready for dispatch. You can actually still feel the heat of this newly prepared product through the boxes. After the tour ended, I bought a jar of my favourite Pic’s Peanut Butter – the crunchy one. Its a very popular for this Kiwi. I guarantee, you’ll really enjoy this tour. Sometimes on travels, you might have a few days of rain or lower temperatures. This tour is a great option – a refreshing filler when you what to stop for a while. It would fit perfectly for families looking for a 30 min time-frame in which to reinvigorate their children, before continuing on the road. But most of all, there is much to admire with Pic’s business ethic – they are very upfront what is important to them. First of all, they’re not solely driven by the profit margin and secondly, they refuse to compromise on quality. Pic and his staff are absolute stars! Read more on the Nelson-Tasman region here. 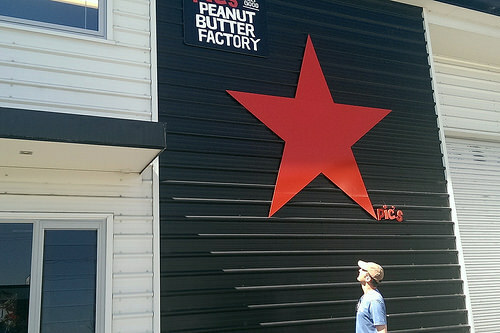 Happy Tasting Pic’s Peanut butter while in Nelson! What a great tour – very Kiwi! This is by far Stephen’s favourite peanut butter, he won’t eat anything else since discovering it. Great to know it is so local. Definitely a must visit when we finally come up to the top of the south. I would mention that due to food quality controls, most of the viewing is done through large glass windows. It’s fascinating to watch thousands of peanuts being blown through a clear vacuum tube. It’s been nicknamed the “peanut rocket ride” by the kids. Btw Jan, they’re also making the most delicious peanut oil for sale. Actually Jane, I think you’re probably right about a jar of this being in the survival kit. Full of protein them peanuts.